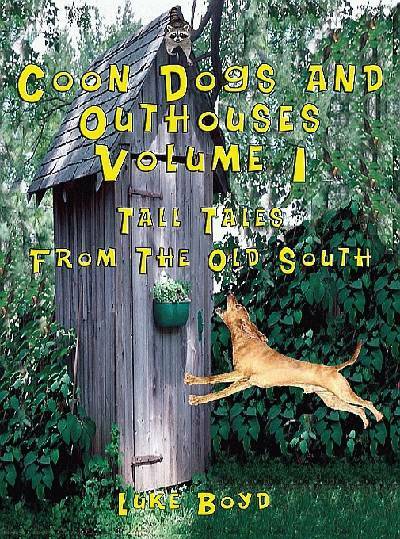 Tall Tales From The Old South and Great Southern Short Stories. "I never thought it would come to this when I started writing those stories." This is what I said to Sara, my wife, when the offer came to publish a book of them. For me, it was one of those serendipitous events of life which is all the more sweet because it was unplanned and unexpected. Tall Tales From The Old South and Great Southern Short Stories. "I never thought it would come to this when I started writing those stories." This is what I said to Sara, my wife, when the offer came to publish a book of them. For me, it was one of those serendipitous events of life which is all the more sweet because it was unplanned and unexpected. Of course, I have been writing most of my life, but it's mostly been rather formal stuff--pieces that only allowed limited forays down creative paths before reigning the writer in and back to the straight and narrow. This type of writing does have its place and value, if only to teach discipline and to hone skills. Then, about twenty-five years ago, I realized that my children, especially my daughter, Kimberly, had little knowledge and much less understanding of my growing-up years and the background and culture from which I had come. I decided to try to convey some of this through stories. "The Aviator Cap" was my first effort. Other pieces in this vein were "Ol' Raymond," "The Sanitary Toilet," "The Jesus Doctor," and some of the stories of my father--the grandfather they never knew. Along the way I began to branch out and to write about other events and incidents--things I thought were odd, amusing, or worth recounting. My father was a good storyteller and I suppose I picked up some of his talents. There is much satisfaction in telling a good story, whether orally or in written form.